More than 70 historic race cars with ties to the Indianapolis 500 return to the Brickyard May 24-26 for the 20thannual Historic Racing Exhibition, presented by the Indianapolis Motor Speedway Museum. The event is open to cars that either qualified for or were entered for the Indianapolis 500. 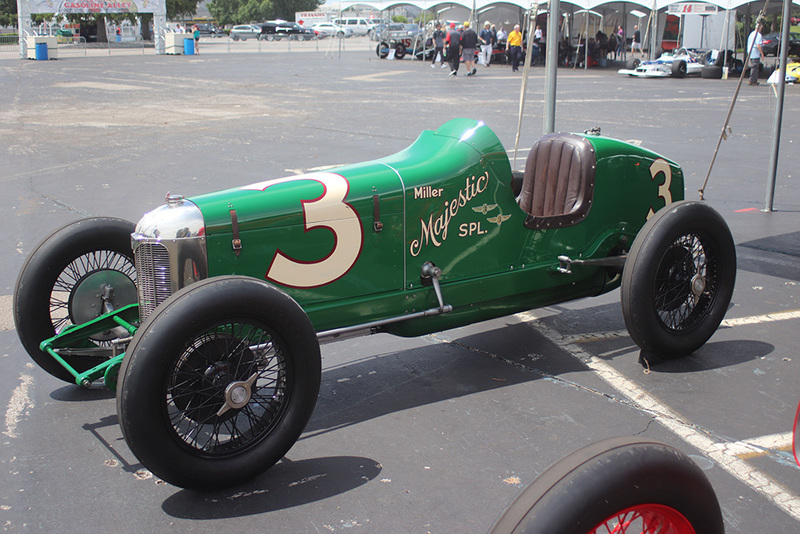 The event includes a display of the cars in “Historic Gasoline Alley” next to the Museum and on-track laps for the participants. The vehicles eligible for the exhibition range from 1911 to 1993. Fans can hear iconic engines from the mighty Miller that dominated in the 1920s and 1930s, to the roar of the popular, hard-luck Novi which participated in the “500” from 1946 to 1965 and the distinctive turbocharged Cosworth of the 1980s. Some of the iconic cars that will participate in the exhibition include the 1949 Blue Crown Spark Plug Special that powered Bill Holland to victory in the “500,” the 1975 McLaren M16 that finished second with Johnny Rutherford behind the wheel and A.J. Foyt’s first Coyote. The display is open from 9 a.m.-5 p.m. each day, and the cars will be on track for exhibition laps on the following schedule. Thursday, May 24: 2:45-4 p.m.
Friday, May 25: 8-9 a.m.
Saturday, May 26: 11:15 a.m.-12:20 p.m.